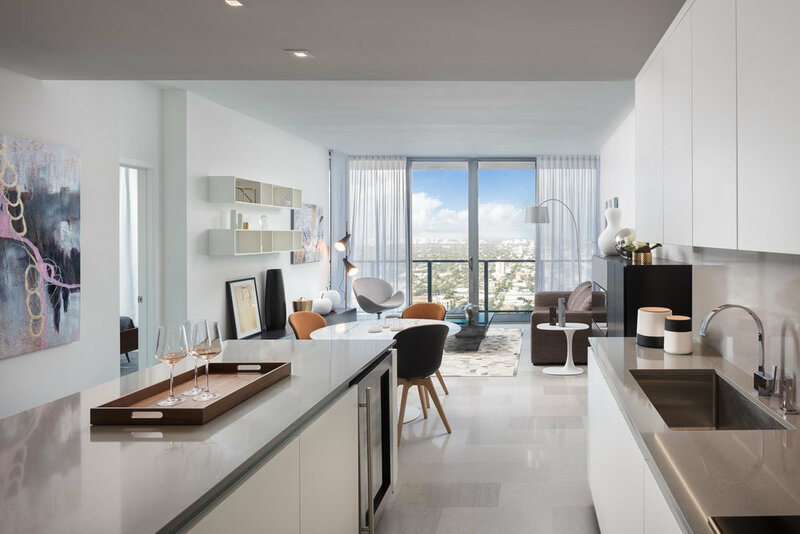 In addition to commercial and retail space, there are short-stay hotel guest rooms, long-term luxury hotel residences, and apartments and condominiums for purchase or rent. EAST is the tallest building in the development, soaring over 500 feet. Behind is RISE. RISE at sunset, visible are the green roofing and climate ribbon which connects all of the towers in the development.